I was first introduced to J. K. Rowling and the Harry Potter books by a worried mother in my congregation in Tulsa. “Pastor, what do you think of these Harry Potter books?” This was not a neutral question. “I haven’t read them,” I answered. Books are always dangerous, I thought but instead I said, “I’d be glad read them and let you know what I think.” I love reading good fiction. Is the Magic in Harry Potter Dangerous? What I discovered were books filled with magic. The first three books especially–brimmed with incredible creativity, engaging stories, themes and questions worthy of books on philosophy and theology, and characters that walked off the page and into my heart. Magic, the kind that makes things appear and disappear, was secondary. Harry and the gang were witches and used magic in the same way Captain Kirk and his crew were space travelers and used not-yet-real technology. Harry Potter never calls on Satanic evil forces for help. Nor does he simply wave his wand and wish his problems gone. This waving of a wand, or a pill, or a prayer to make problems go away is called magical thinking and it is very dangerous. 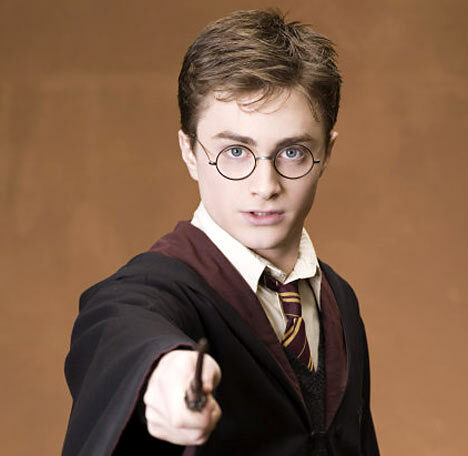 Magical thinking is a way to use the things around us to hide from problems (like Harry Potter’s “invisibility cloak”), while appearing to do something about them. It is a flawed, shallow coping mechanism and may have contributed to Steve Jobs death. Walter Isaacson, biographer of the late Steve Jobs, said, “I think that he [Jobs] kind of felt that if you ignore something, if you don’t want something to exist, you can have magical thinking. We talked about this a lot.” Jobs spurned traditional medical treatment for nine months after he was diagnosed with pancreatic cancer. Jobs is not alone. Most of us practice magical thinking. Years ago, when my daughter was diagnosed with an eating disorder, I leaped into action, found a counselor, and hoped the problem was solved. Sounds like the right thing to do, doesn’t it? But I was guilty of magical thinking. I had waved the counseling wand at my daughter’s pain. But it did not go away. Not without traveling a long, painful road of discovery and healing, that would include the hardest work I’ve ever done including many counselors, doctors, friends, and episodes of heart wrenching arguments with God that showed me how shallow and hidden I was as a man. We often think of modern medicine in this way. Just pop a pill and all the pain–the disease–will dissolve. Politics too. If we elect my candidate, she will solve all our problems. Religious people use prayer and God and the Bible this way also. Exercise, diet, education all are used as magic wands to banish our troubles. Magical thinking is dangerous because it is a way to hide from ourselves, our world, and our problems. And it usually makes them worse. Harry Potter never does this. In every case, his magic is a tool to help him go deeper into danger, closer to the heart of the problem. And his real solutions to his struggles come from the struggle itself. He engages his mind, his heart, his friends, even his enemies in the battle. He never settles for easy, comfortable, known answers. My daughter is now a mother of two, healthy, honest, deep. She still struggles. But none of us who went through that with her, hide; we don’t wave God, or counseling, or prayer around like a wand hoping all the pain will disappear. The magic in Harry Potter is indeed dangerous. Because it is the kind that calls us to face ourselves and our problems. It reminds us there are no magic answers. Eugene C. Scott is co-pastor of The Neighborhood Church and would like a magic wand that could solve car problems and maybe clear traffic in front of him during rush hour. Excellent post! I’m reading the Harry Potter series for the second time, this time with my son. While all the magic and world building Rowling creates is great fun, Harry’s struggles, his humanity, the difficult decisions he makes, and his great capacity for love is what I love most. Sometimes I want to protect my son from the sadness within the series, but that would mean preventing the good lessons that lie within those pages. And ultimately, the joy, too. I LOVE this – what an insightful post!! Thanks, Christina. I hope your workshop goes really well tonight. You are right, it is best to be honest. No more hiding behind easy fixes. Good challenge. Thanks for reading and responding, Brendan. Being honest with yourself and God seems to be pretty hard.